Regular followers of the blog will know that Dan Empfield was at Ten-Point this week. On Monday and Tuesday he delivered his F.I.S.T. bike fitting course for the first time outside of the US. With 8 students on the course, we had a fantastic two days learning from the master. Dan was full of amazingly interesting insights, in-depth learning and some wonderful stories from his years in the bike industry. Here is a short introductory video we produced with Dan while he was over explaining why he has partnered with us as his European training centre. 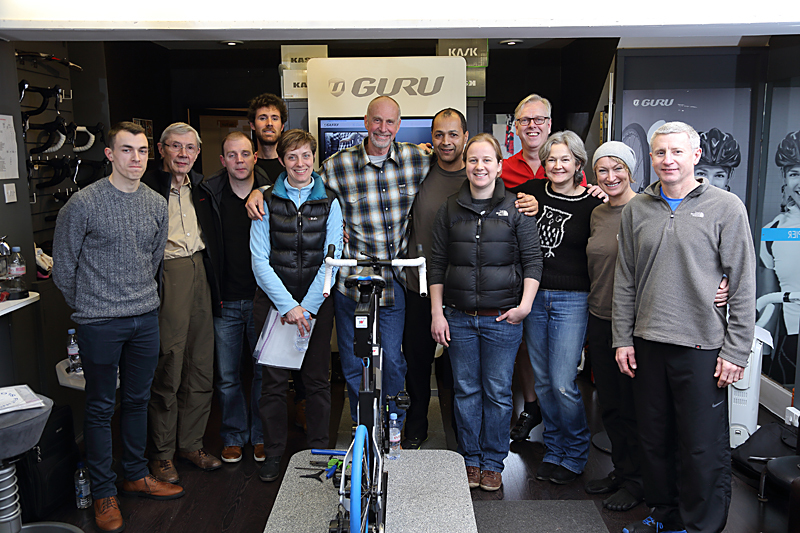 Whether you are a dealer who is interested in bike fitting, or simply a cyclist interested in learning more about bike fitting, coming on one of these courses here, at Ten-Point in Buckinghamshire, is well worth it. If you’re interested, drop into the shop, call up or send us an email and Brian will get in touch. Over the coming weeks there will be more video clips from Dan’s visit, where we got chance to sit him down and ask him some questions, so stay tuned for more!